Does exactly what it says! Was as shown takes a bit to get together. 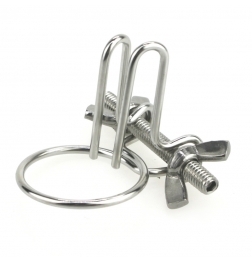 This sturdy, solid CBT device acts as a ball stretcher, scrotum torture device, and ball collar all in one. 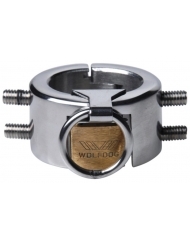 Snap this heavy metal band in place, and secure it with lock, which is built right into the cuff. There is absolutely no escape once it is locked into place. 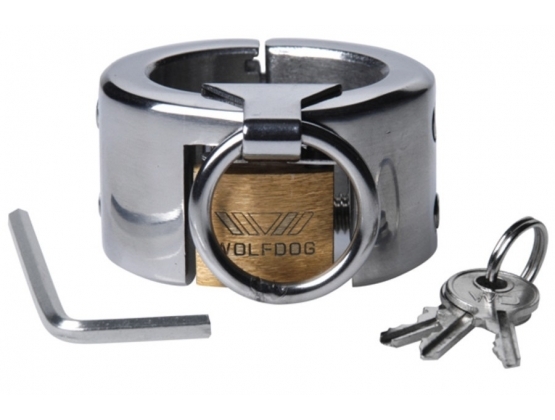 The small size allows for ultimate restriction and security. Four pointed screws line the inside of this devious piece, which can be twisted to apply more pressure. 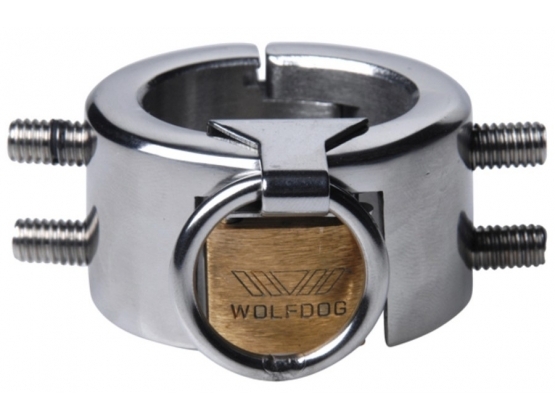 The front features a steel O-ring, so you can lead your pet around with a leash, add ball weights, or lock him in place. Use alone or in conjunction with other toys, this unique CBT toy is as versatile as it is effective. Measurements: 1.25 inches in width, 1 inch deep, 1 inch tall. Material: Steel. Note: Comes with integrated lock, Allen wrench, and 3 padlock keys.